Two very different children are growing up, shouting their hearts’ desires into the echo cave, praying that their destiny will lead them far away from the town in which they live. Castlebay, in winter empty and grey with wind and sea spray, becomes all bustle and colour in the gaudy days of summer – and Tom O’Brien’s shop on the edge of the cliff besieged by holidaymakers. One of those children with ambitions to leave Castlebay is Clare, Tom O’Brien’s younger daughter. A favourite with the local schoolteacher, she wins a scholarship to University College, Dublin and seems all set for a path of academic glory. The other child dreaming of escape is David Power, the doctor’s son, also bound for Dublin university, and probably a dazzling future as a specialist. The paths of these two characters are destined to criss-cross in a quite unforeseen way, and eventually both roads will lead back to Castlebay. The end of this long drama of ambition, betrayal and love is played out in the seaside town where it began, against a backdrop of whispered family gossip and the tangled skein of past friendships. 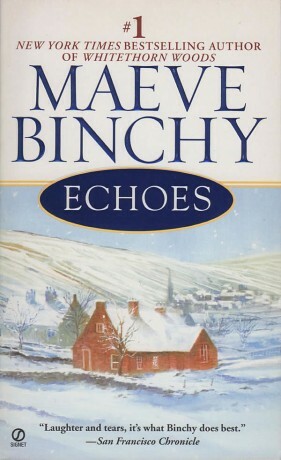 Maeve Binchy brings to this story of a marriage all her warmth and power of insight, but as in Light a Penny Candle, the magic of her writing is not just in the story. It lies also in her creation of a supporting cast, from Angela O’Hara the schoolmistress whose priestly brother is not all he seems, to Gerry Doyle, Castlebay’s photographer and resident Romeo. And above all it resides in her uncanny ability to recreate the echoes of childhood or the memory of being a teenager in a very particular time and place. 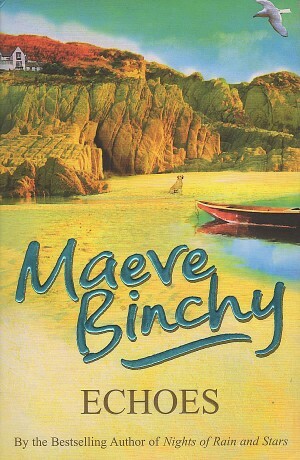 Maeve Binchy’s novels and short stories have been adapted for film. TV and radio, including Echoes, The Lilac Bus, Tara Road and Circle of Friends.